Too cold to go outside? 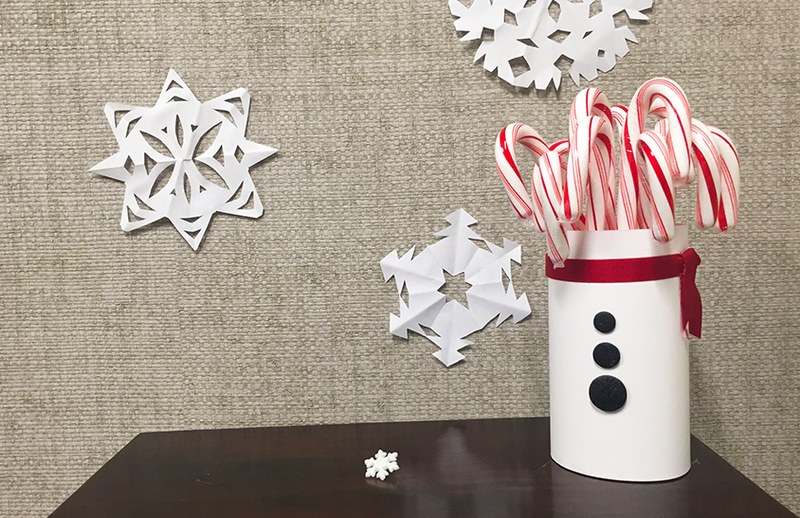 Keep your kids entertained and bring your snowmen inside with this simple Snowman Buddy Craft! The options are endless when it comes to up-cycling Old Orchard juice containers! As the temperature drops and the holidays roll in get your house decked out! Step 1. Cut white paper into 5" strip, glue edge and wrap around can. Step 2. Take 12" ribbon and wrap around top of can. Glue edges down to secure scarf. Step 3. Glue on three black buttons. Step 4. Fill with candy canes or all the holiday candy you desire!